A healthy diet is key to a healthy pet. Finding the right pet food for your animal can be a confusing and daunting task. Many store-brand foods, for all their fancy names and flashy packaging, contain fillers and fat – junk food for your pets! Some animals benefit from a special diet, reducing stomach and kidney problems and giving them better digestion and a more comfortable life. 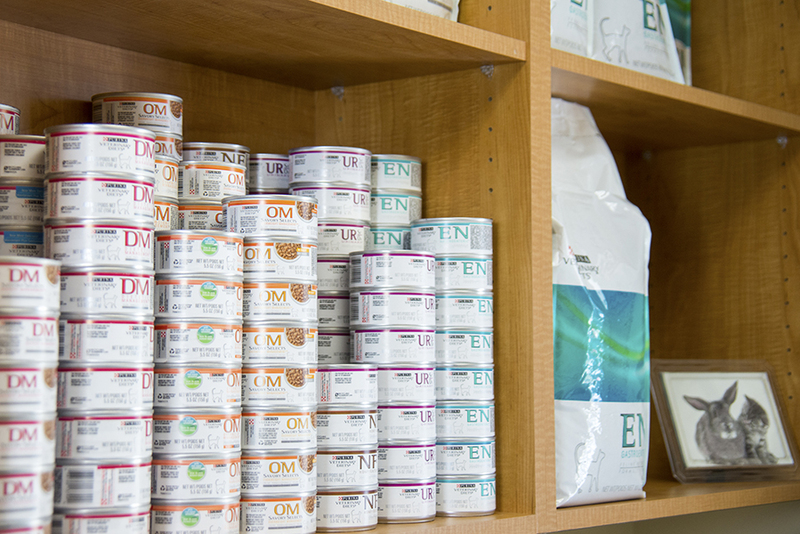 At Park Avenue Animal Hospital, we have a variety of food for sale for dogs and cats of all sizes, ages and conditions. Our doctors and staff can help you determine the best food for your pet, as well as how much and how often they should eat. Don’t settle for junk food!